In a case centering on the EPA’s final rule for cooling water intake structures (CWIS) (August 15, 2014, Federal Register (FR)), a panel of judges with the U.S. Court of Appeals for the 9th Circuit found that two federal agencies with whom the EPA consulted were not entitled to deny the release of certain documents to the Sierra Club under an exemption from disclosure contained in the Freedom of Information Act (FOIA). Under Exemption 5, the Services refused to disclose 16 documents to the Sierra Club. The organization sued in a district court that ordered the release of 12 of these documents. In its majority opinion, the 9th Circuit panel upheld the District Court’s order for 9 of the documents and reversed the order for 3 others. In a partial dissent, one of the panel members said all 12 contested documents were protected from disclosure under Exemption 5. 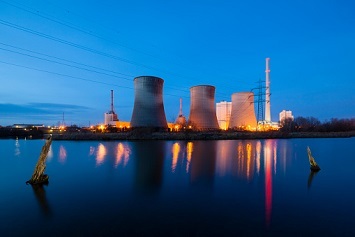 The EPA’s 2014 final CWIS applies to power plants and large industrial facilities that each day draw billions of gallons of surface water to cool equipment. The water is collected through structures with screens that block entry of large aquatic organisms. But these organisms can be trapped on the screen, and smaller organisms drawn in typically do not survive. Also, cooling water returned to the water body after use is warm, which can also impair aquatic life. The final rule affects the location, design, construction, and capacity of CWISs and provides requirements that reflect the best technology available for minimizing adverse environmental impact. The rule is being implemented through permits issued under the Clean Water Act’s National Pollutant Discharge Elimination System (NPDES). Section 7 of the ESA and implementing regulations require federal agencies to consult with the Services whenever an agency engages in an action that may affect a species listed as endangered or threatened under the ESA. The purpose of the consultation is to ensure that the agency action is “not likely to jeopardize the continued existence” or “result in the destruction or adverse modification of habitat” of any protected species. As part of this Section 7 consultation process, the Services must prepare a BIOP on whether the proposed agency action is one that poses “jeopardy” or “no jeopardy” to the continued existence of a listed species or its critical habitat. If the opinion concludes that the agency action causes jeopardy, the Services must propose RPAs to the action that would avoid endangering the species. Much of the majority’s discussion focused on which criteria a document must meet to be protected under Exemption 5 and how that criteria were met or not met in the Services’ 12 contested documents. “The particular privilege the Services have claimed here is the ‘deliberative process privilege,’ which permits agencies to withhold documents ‘to prevent injury to the quality of agency decisions by ensuring that the frank discussion of legal or policy matters in writing, within the agency, is not inhibited by public disclosure,’” the majority states. The majority goes on to say that to qualify under the deliberative process privilege, a document must satisfy two conditions—its source must be a government agency and it must fall within the ambit of a privilege against discovery under judicial standards that would govern litigation against the agency that holds it. In addition, states the majority, Exemption 5 applies only if disclosure of the materials would expose an agency’s decision-making process in such a way as to discourage candid discussion within the agency and thereby undermine the agency’s ability to perform its functions. Furthermore, a document is entitled to Exemption 5 nondisclosure if it is predecisional. That means the document was prepared to assist an agency decision-maker in arriving at a decision and may include recommendations, draft documents, proposals, suggestions, and other subjective documents that reflect the personal opinions of the writer rather than the policy of the agency. The remainder of the decision focuses on specific documents requested by the Sierra Club. The majority agreed with the Services that one draft jeopardy BIOP was prepared as an internal agency document. “It was only circulated between groups of NMFS employees, and there is nothing in the record that indicates that the jeopardy finding was communicated even informally to the EPA,” wrote the majority. Therefore, this document was entitled to Exemption 5 nondisclosure. However, the majority found that two other draft BIOPs were not predecisional, as the Services contended. According to the majority, these two represent the final view of the Services regarding the then-current November 2013 proposed rule. A third RPA is a final action by the Services since it offers no insights into the Agency’s internal deliberations and, therefore, cannot be considered deliberative under Exemption 5, the majority ruled. Furthermore, the majority said it found nothing in a collection of supporting documents—e.g., tables, instructions for CWIS operators, and terms and conditions operators must meet—that was predecisional and thus entitled to Exemption 5 protection. The dissenting judge largely argued that because Exemption 5 privileges “inter-agency or intra-agency memorandums or letters” and because all the documents at issue were transmitted between the Services and the EPA, they should be exempt from disclosure. The 9th Circuit’s opinion in Sierra Club v. FWS and NMFS is here.